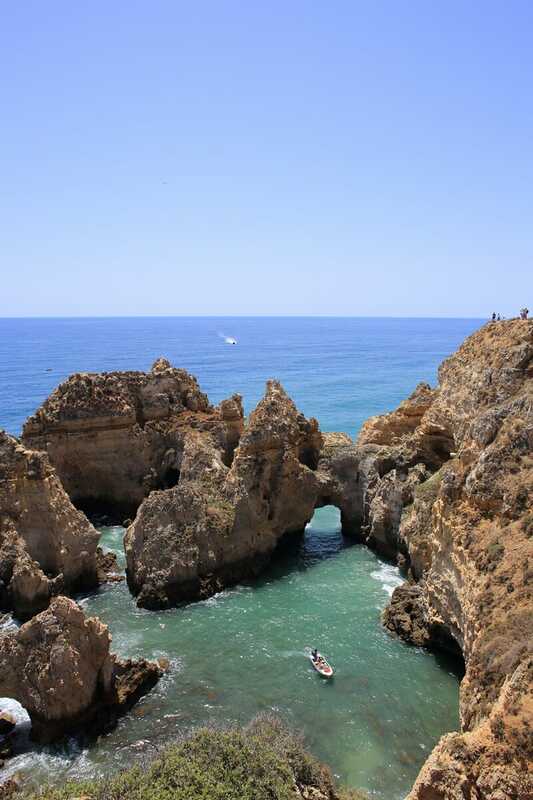 The Algarve is a stunning coastal region in the south of Portugal with beach after beach and plunging clifftops. Over the years it has become a popular destination for beach goers, surfers, families and avid golfers. 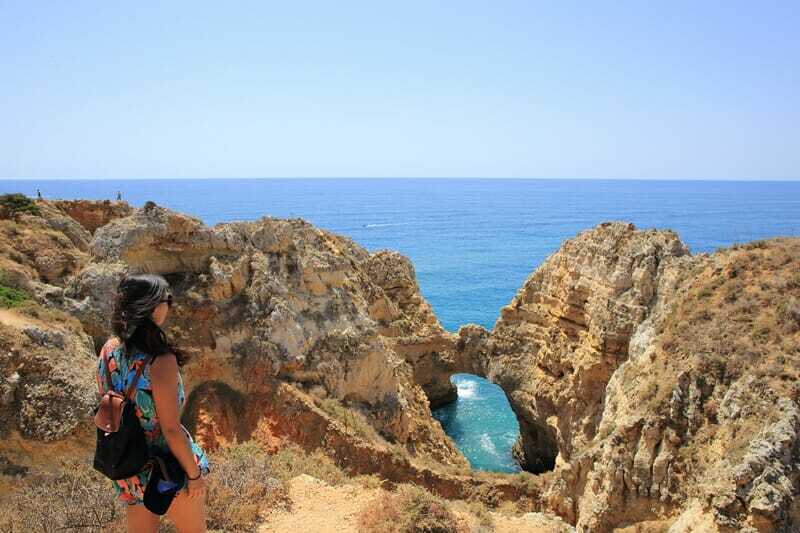 Despite the crowds, it’s actually relatively easy to get off the beaten track in the Algarve if you know where to go. The rugged coastline is a wonderful destination to explore over the course of 4 to 5 days, and we found ourselves head-over-heels for the picturesque coves, charming towns and parasol-filled beaches. Wondering where to go in the Algarve? 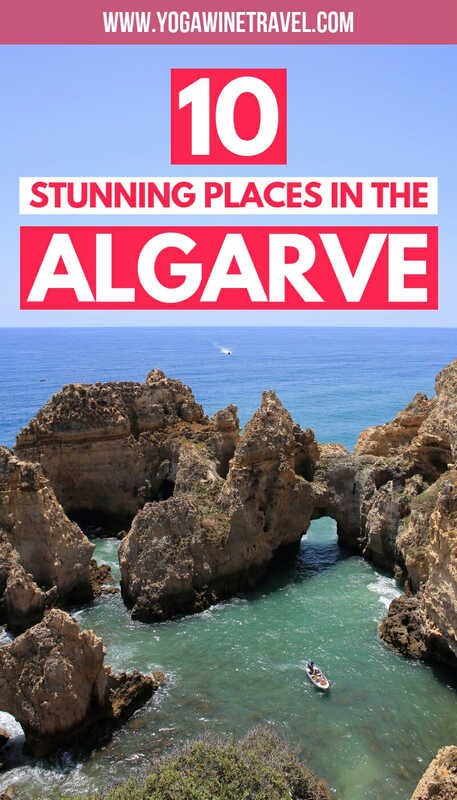 Read on for the most beautiful places to visit in the Algarve! Looking for even more Portugal travel tips and destination guides? Click here! When you’re researching accommodation in the Algarve, you are going to be overwhelmed by all of the options. There are dozens and dozens of towns along the coast, all offering a range of different hotel options, but if you only take away 1 thing from this guide let it be this: avoid staying in Lagos or Faro. These 2 towns are overrun with people and get extremely crowded, especially during the summer months. 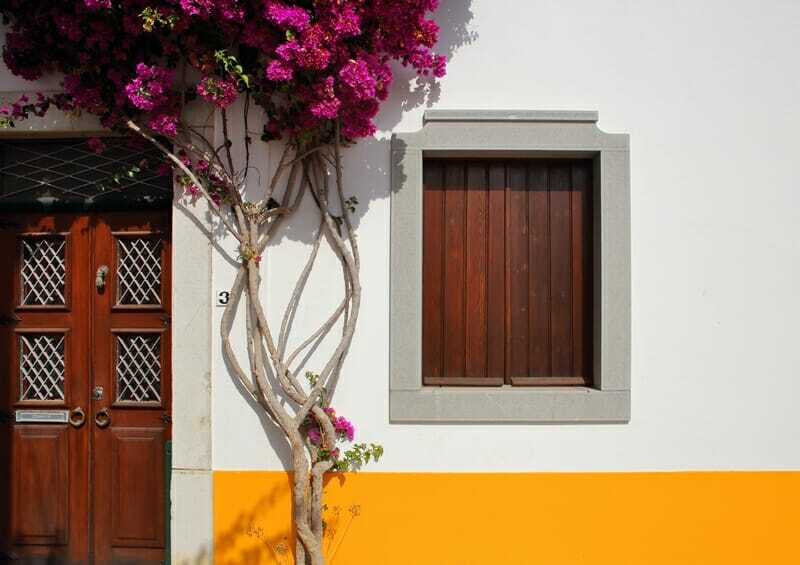 Instead, book yourself into Casa Beleza do Sul in Tavira. 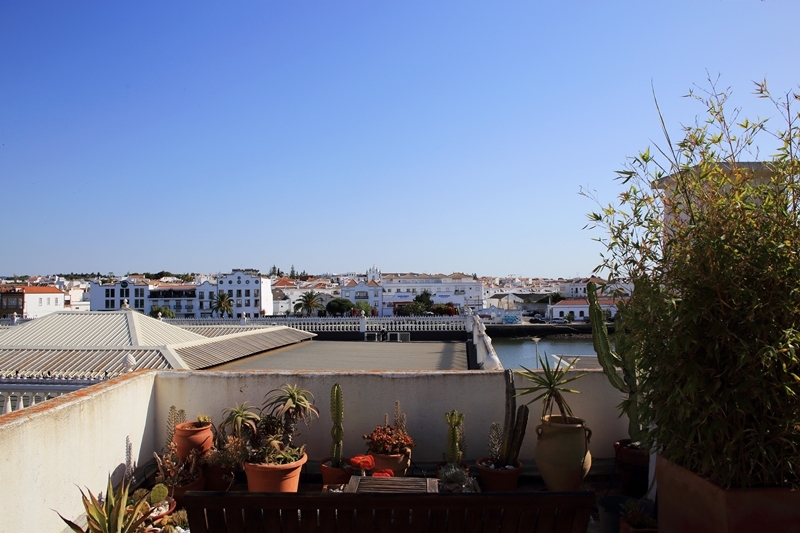 Tavira is a hidden gem on the eastern end of the Algarve, just 2 hours away from Seville. 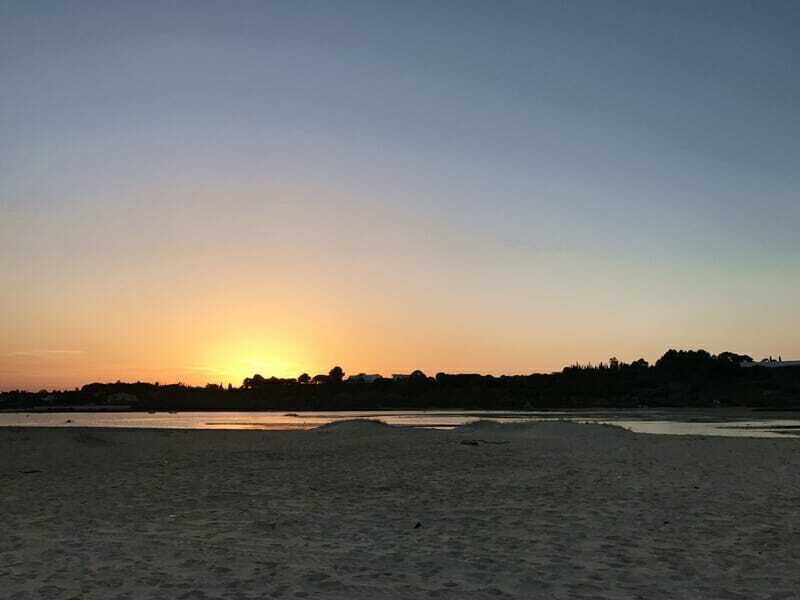 Don’t let the map fool you – though Tavira may look like it is far from the central parts of the Algarve it will only take you half an hour to get to Faro, a little over an hour to get to the famous stretch of beaches starting from the Ponta da Piedad viewpoint to Praia de Benagil, and 90 minutes to drive all the way to Cape Saint-Vincent in the most south westerly point of Portugal. 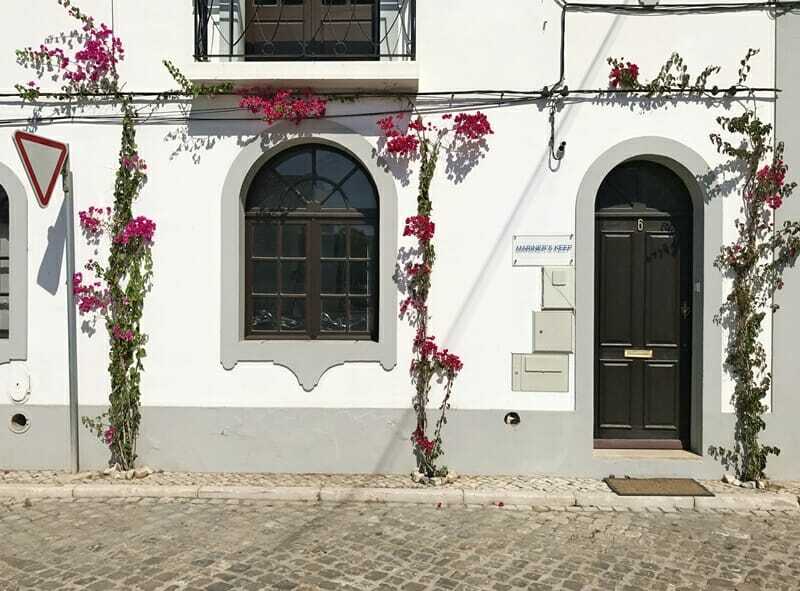 Tavira town has been able to stay off the radar and remain quiet, authentic and charming, mainly because it doesn’t have direct beach access – only people don’t realize that it is a quick ferry or car ride away from long, empty beaches. Casa Beleza do Sul is a beautiful boutique guesthouse right off the main promenade with beach-inspired decor and spacious rooms. Paula, the owner, has the lowdown on the yummiest places to eat and the best beaches in the Algarve. 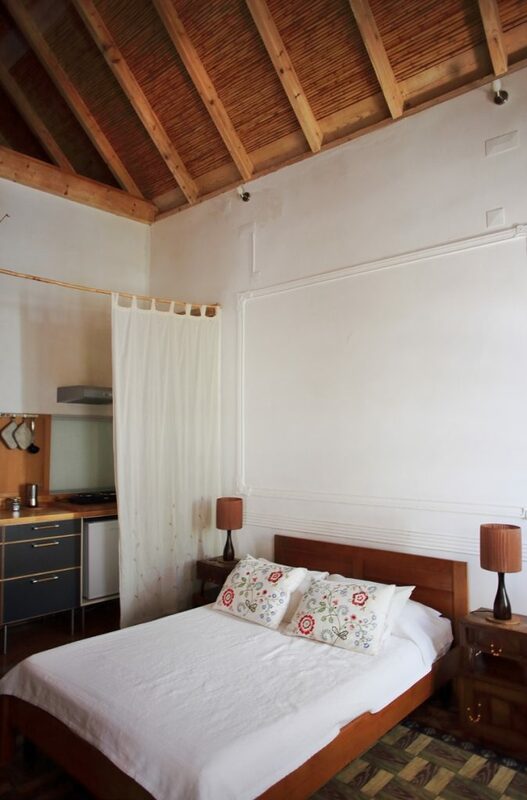 What you’ll really love about Casa Beleza do Sul is the incredible rooftop terrace overlooking the river where you can have a breakfast picnic every morning and romantic sunset drinks every night (there is a wine store downstairs). 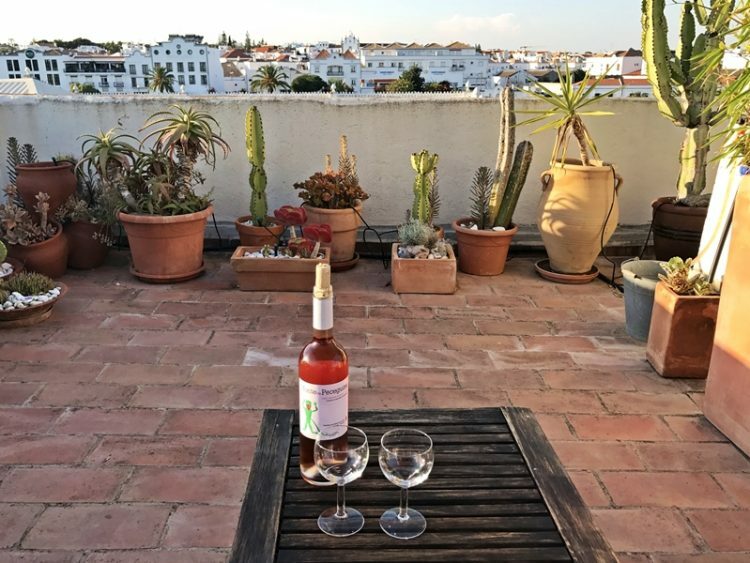 It is the best place to stay in the Algarve for couples and there are only a few rooms available at Casa Beleza do Sul – click here to check availability and current rates at Casa Beleza do Sul or click here to see other highly rated hotel options in the Algarve! Can you get around the Algarve without a car? 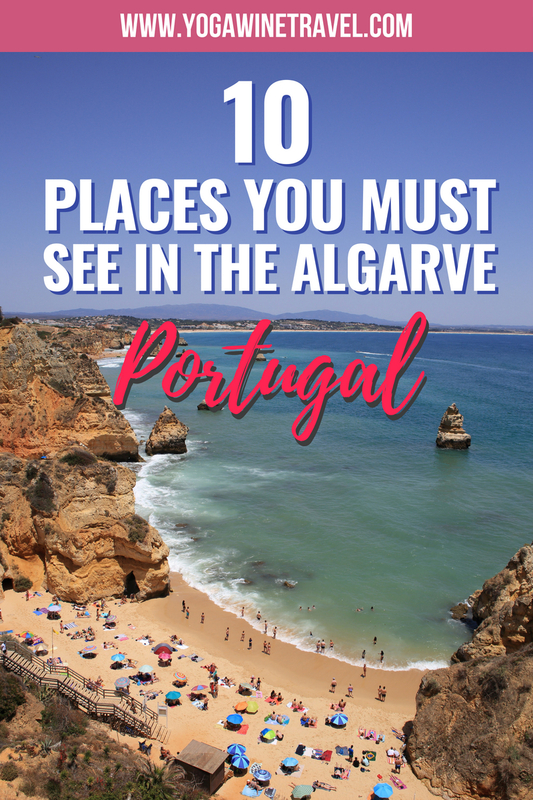 Yes, you can, but you lose a lot of flexibility in terms of timing, and you may not be able to explore some of the smaller or hard-to-reach towns in the Algarve. Click here for the schedule of the regional train that stops at most of the towns in the Algarve, or you can also check train timetables here. It’s also possible to get around by local buses, but the schedules and routes can be extremely confusing. We opted to rent a car as we were traveling through Andalucia in southern Spain before crossing the border into Portugal. If you are driving in Portugal you will need to be prepared for a million and one tollbooths! Apart from Greece, I honestly don’t think I’ve paid as many toll fees as I had to pay in Portugal. Looking for the best prices for rental car companies around the world? Click here to book your rental car ahead of your trip. Bookings can be cancelled or amended if your plans change! 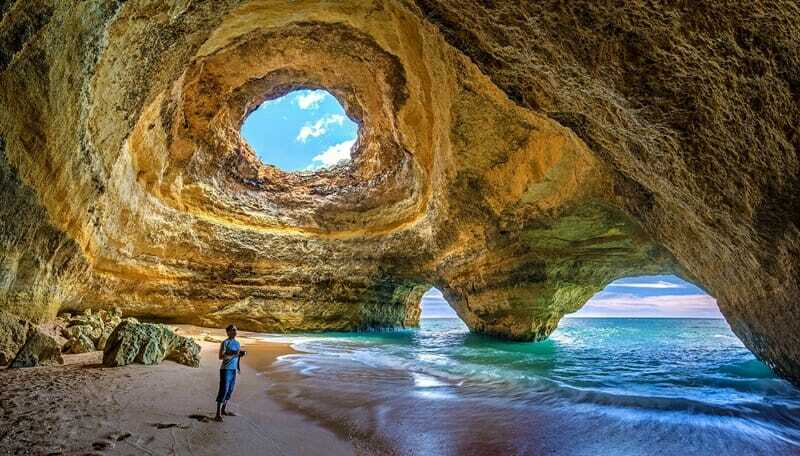 Alternatively, you can take taxis in the Algarve – prices aren’t too outrageous and you can expect a one-way transfer from Faro airport to Tavira (approximately 40 kilometres) to cost 35-40 Euros. 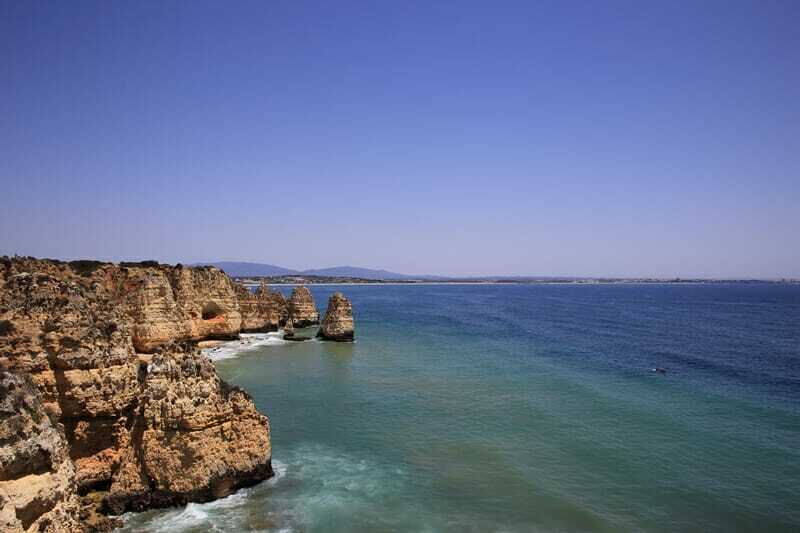 Wondering how many days to spend in the Algarve? We spent a leisurely 4 days in the Algarve and managed to cover tons of ground and soak up the sunshine on the best beaches in the Algarve before heading north to Lisbon and Porto. If you’re planning a trip to this part of Portugal you’re going to want to spend an absolute minimum of 3 nights in the Algarve to make the most of the beautiful coast. 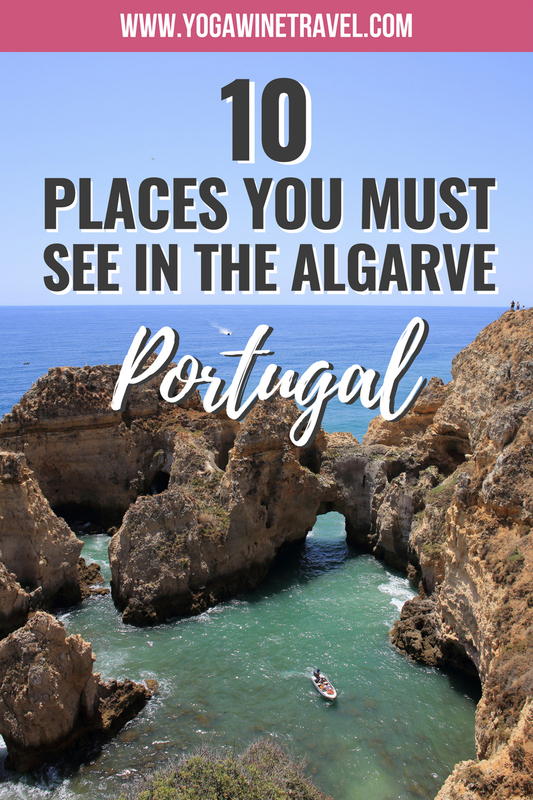 Here are some places you can’t leave off your Algarve itinerary! These two beaches in the eastern part of the Algarve are connected and accessible from either town. They both tend to be extremely quiet and the sand is very fine – when we visited there was only 1 other couple on the beach! 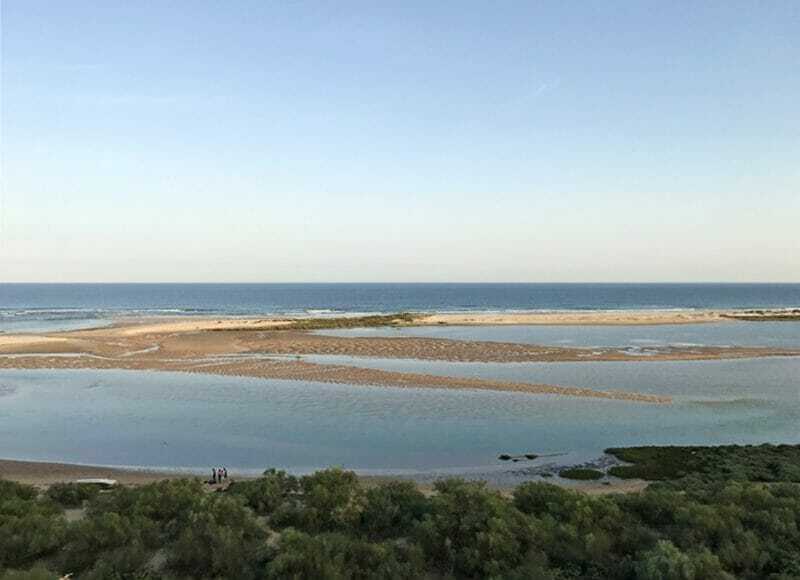 During low tide you will need to wade through a small marsh to get to Cacela Velha beach, but it’s worth it just to get away from the hordes of people on the other beaches throughout the Algarve. This has got to be the best viewpoint in the Algarve, hands down. 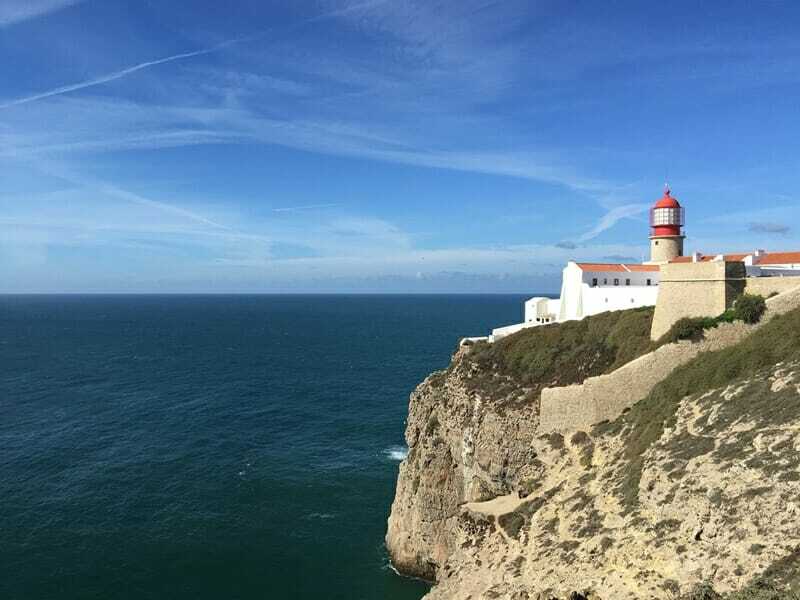 Farol da Ponta da Piedade is just outside Lagos and offers the most incredible panoramic view across the Atlantic as well as of the coastal rock formations. If you’re keen to take a closer look at the rock arches and grottoes there are many boat operators that run tours in the area. You’re spoilt for choice when it comes to beaches in the Algarve, there’s one every few kilometres! Praia do Camilo is one of the most famous ones and is nice and sheltered from the elements. You’ll have to walk down 200 wooden stairs to get to this sandy beach, but it’s a great place to spend a few hours on a sunny afternoon. 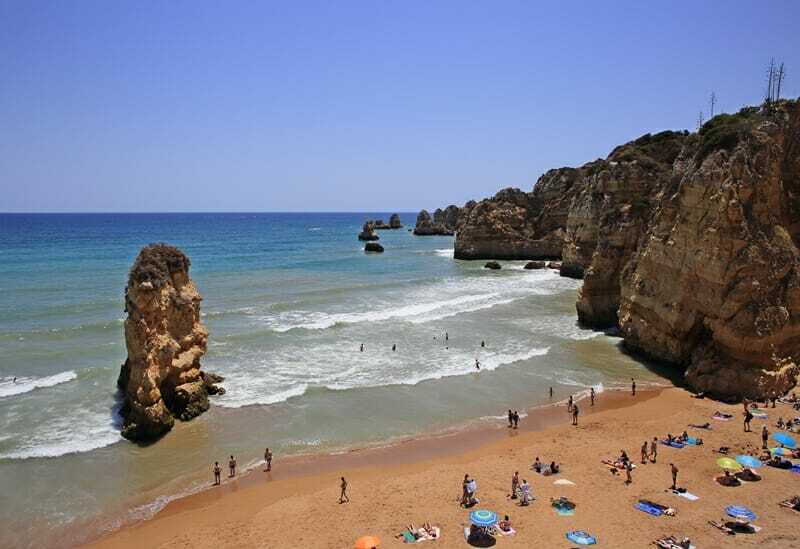 Praia Dona Ana is sometimes considered the most beautiful beach in the Algarve. Its golden sands are nestled between rugged sandstone cliffs, and massive sea stacks protrude from the crystal clear bay in front of the beach. There is limited parking so you’ll want to get there early, alternatively you can take public transportation or walk from Lagos. You’ve probably seen photos of the Insta-famous Benagil Sea Cave, a quiet sandy cove with a massive dome hanging precariously over it. Unfortunately we weren’t able to visit inside the cave as the ocean was too rough and tours were not operating, but when the sea is calm you can rent a kayak or SUP to make your way over from the neighboring Benagil beach. Though you might have read that you can swim from the beach to the cave, I wouldn’t recommend it. If the cave isn’t accessible when you visit, you might like to follow in our footsteps and look at the cave from above instead. Drive over to the nearest parking lot (“Parkplatz Bengali Caves” on Google Maps) and then follow the footpath towards the cliff. 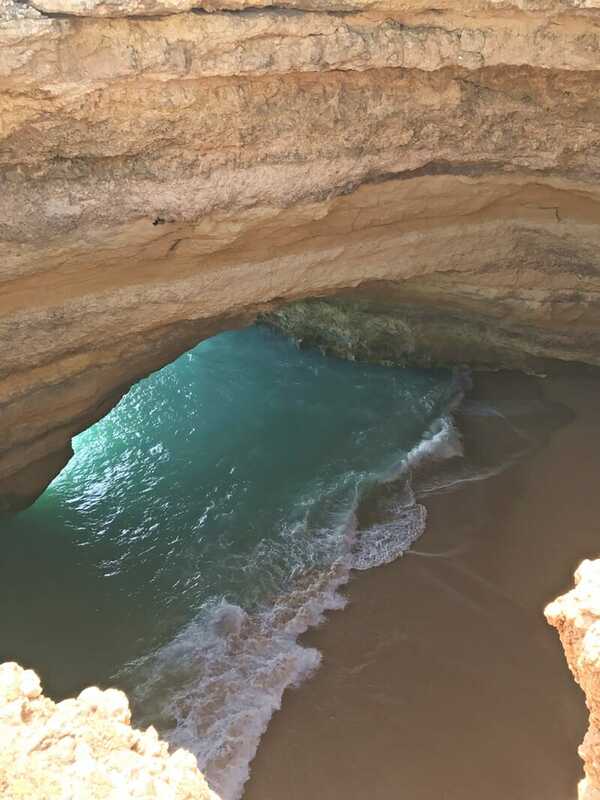 From here, you can look down into the Benagil Cave. 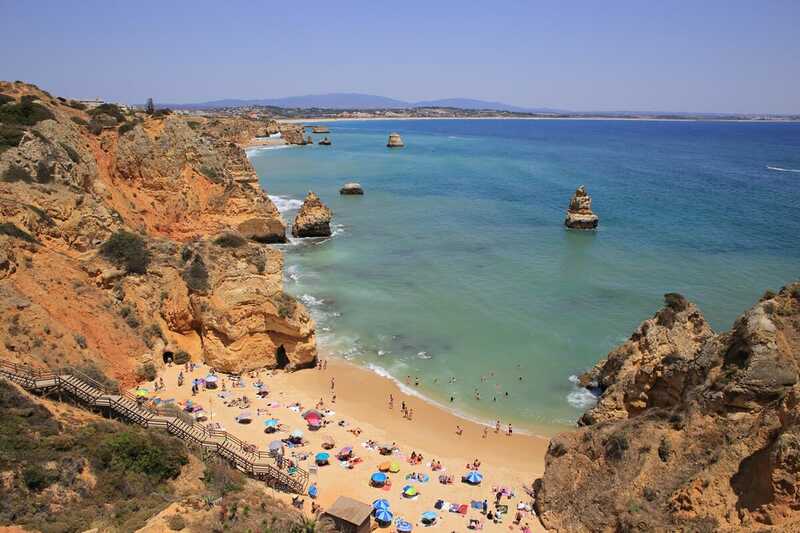 Praia da Falesia is a long narrow stretch of golden beach that is off-the-beaten-track in the Algarve. 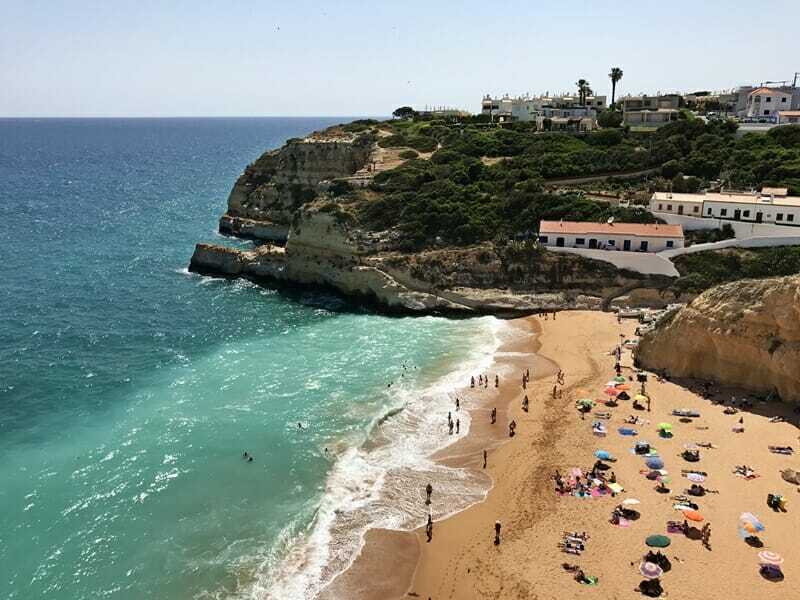 It lies between Faro and the small town of Albufeira, and you’ll find that there are a lot less people here than the beaches closer to Lagos and Portimao. If you’re driving, this is the best beach in the Algarve to head to because there is plenty of parking available. 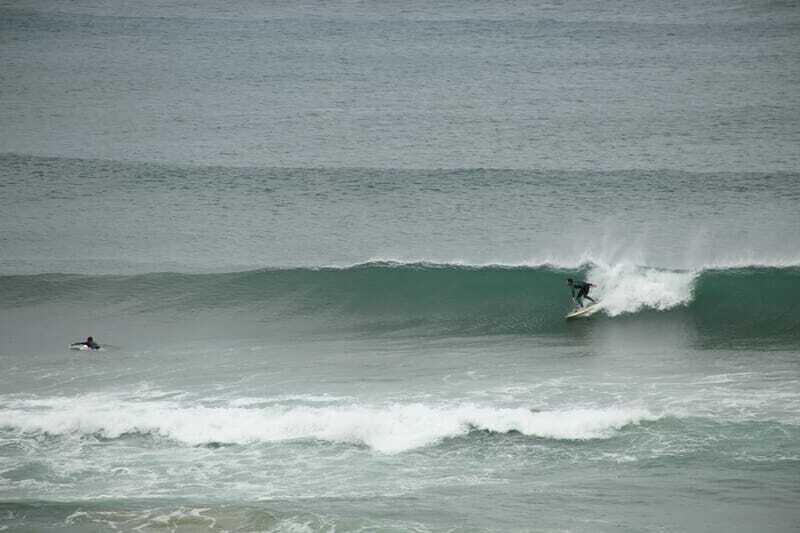 Praia do Amado is one of the best beaches in the Algarve for surfing – head over to the west coast of the Algarve to try your hand at riding the waves. 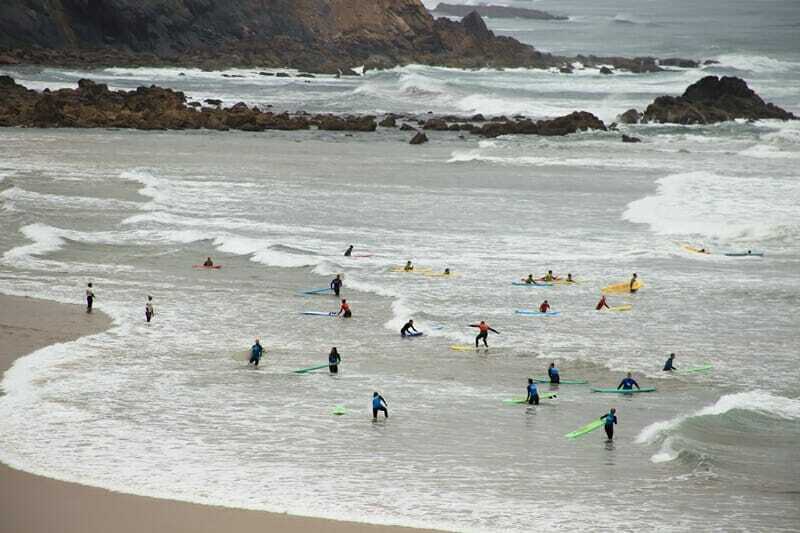 This exposed stretch of beach has a surf school, small restaurant, and waves for all levels of surfers. 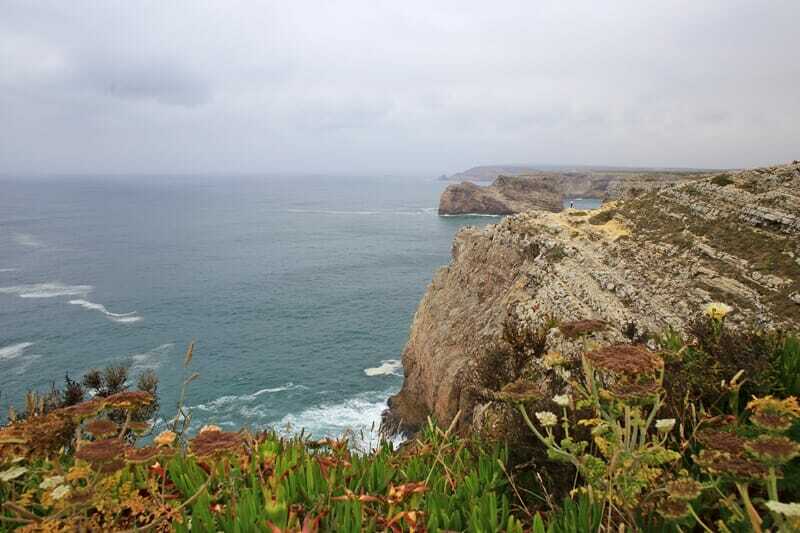 Head north of Praia do Amado towards Estrada da Praia (“Beach Road”), which winds and weaves along the coast and has a number of lookout points where you can stop to check out the hanging cliffs and edges of Portugal. 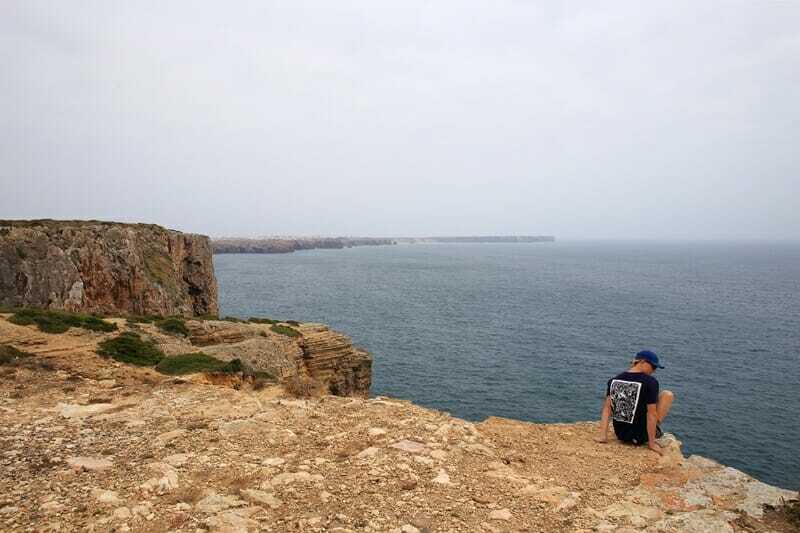 Cabo de São Vicente is the most southwesterly headland of Europe, just a few kilometres outside of Sagres town. The point is home to an iconic red lighthouse dating back to the mid-19th century and is a popular tourist attraction in the Algarve. 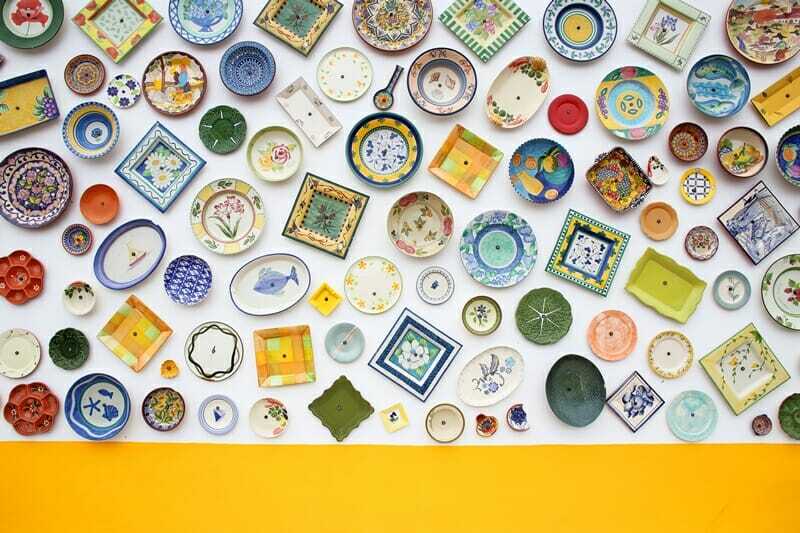 Enroute to Cape Saint Vincent from Sagres town is a number of ceramic workshops and stores – a great place to pick up souvenirs to take back home! 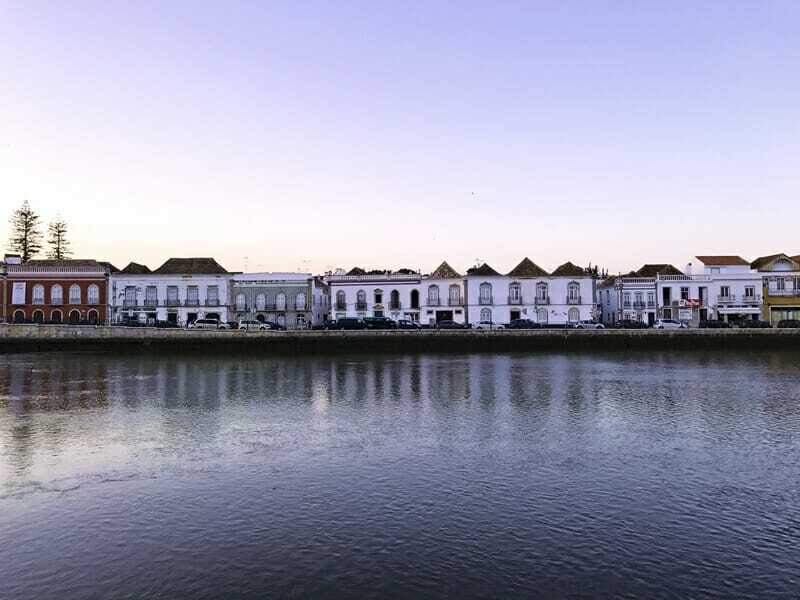 Tavira should be on your Algarve itinerary even if you don’t end up staying there. It’s one of the best towns in the Algarve with a number of fantastic restaurants including Zeca da Bica and Oskar’s Restaurant for traditional Portuguese fare or Pausa for modern tapas. It’s a wonderful place to get lost and wander down narrow cobblestone-paved alleyways lined with bougainvillea-strewn houses. 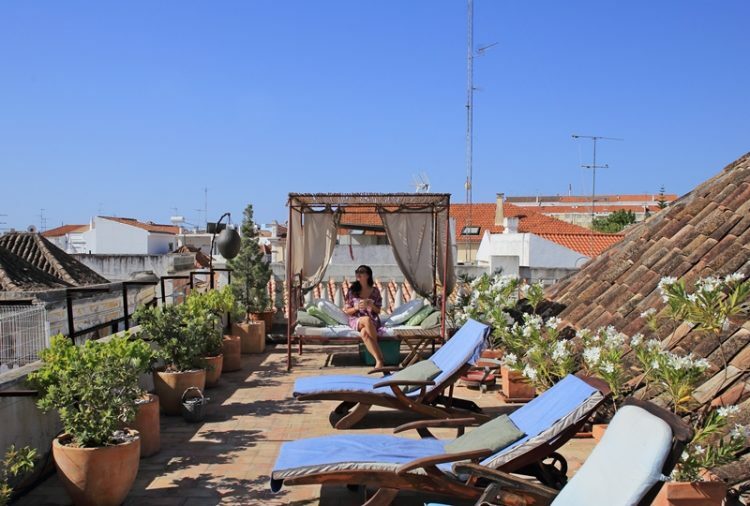 Want to get off-the-beaten-path in the Algarve and stay in a beautiful boutique guesthouse with a private rooftop? 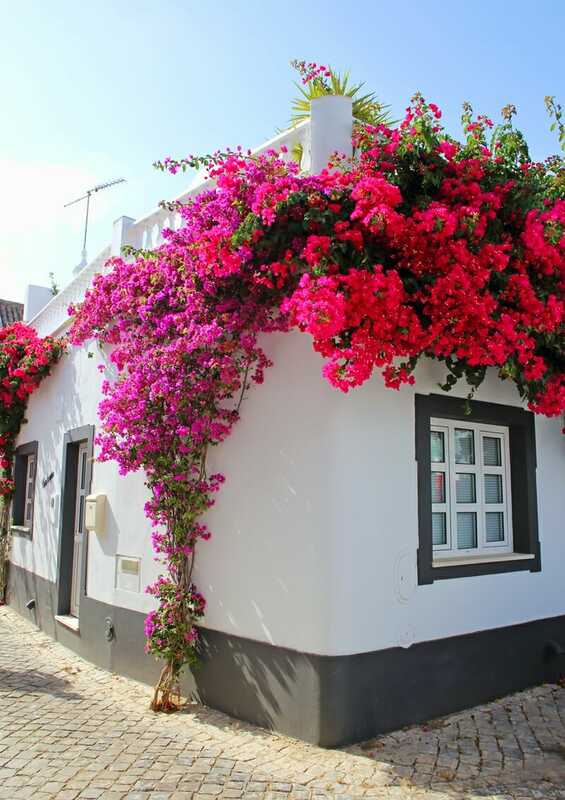 Click here to check availability at Casa Beleza do Sul in Tavira! 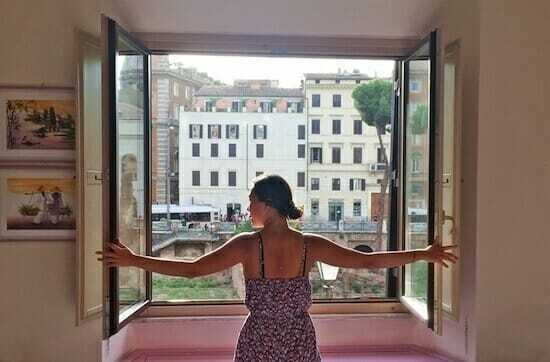 Want to explore your options? Click here to see other highly rated hotels and guesthouses in the Algarve in Portugal. Have you been to the Algarve? What was your favorite town and beach?